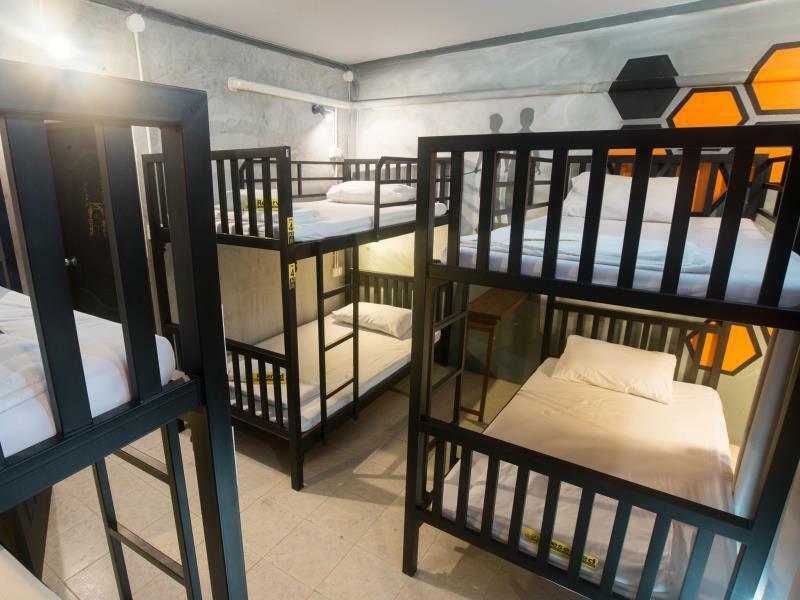 Имате въпрос към Beehive Phuket Oldtown Hostel? Разположен в Град Пукет, Beehive Phuket Oldtown Hostel е перфектно място да почувствате духа на Пукет и околностите. Разположен само на 9.9 km от центъра на града и на 32 km от летището, този 2-звезден хотел привлича всяка година множество посетители . С удобното си местоположение хотелът предлага лесен достъп до всички градски забележителности, които задължително трябва да се видят. Възползвайте се от богатството на ненадминатите услуги и удобства в Пукет. Този хотел предлага множество удобства, за да задоволи и най-изискания вкус. Насладете се на висококачествените удобства по време на престоя си тук. В някои стаи са на разположение телевизор с плосък екран, стойка за дрехи, безплатен чай, уелкъм дринк, шкафче с ключ, които ще помогнат на гостите да релаксират след дългия ден. Освен това в хотела можете да се възползвате от множество предложения за приятно прекарване на свободното време. Когато търсите удобно и комфортно място за настаняване в Пукет, изберете Beehive Phuket Oldtown Hostel, който ще се превърне във втория Ви дом. Сервис, чистота все на приличном уровне. На крыше есть бассейн. За репост в соцсетях полотенце предоставляют бесплатно. Очень уютное лобби. Живописная улочка в старом городе, но далеко от пляжей. В шаговой доступности кафе, рестораны, минимаркет и супермаркет. От автовокзала 4,5 км. Очень весело! Я останавливалась там с 5 летним сыном и нам сразу повысили категорию до номера с доступом в бассеин с балкона. Там мы сразу подружились с соседями и собрались вечером вместе посмотреть Город, а девочки с рецепшена тут же взялись показать нам хорошие места! Вообще персонал старался во всем помочь и подсказать. Большое спасибо им за это! Шорошая отмосфера, созданная трудолюбивым персоналом. Has a kitchen and it's comfortable. But should we more clear that the room has to be shared with others. What we thought will be our personal room, had 2 couples coming and going throughout the week. Also towels are not given for free. Great location and great staff. No frills hostel but you still get thrills, great coffee and great big smiles. Pool area could use a little maintanence but that didn’t stop us having a great time in the area. Thank you Lee. See you in next time. It is such a nice place to stay. Staff is helpful and friendly and the location is good. It is close to the market and the convenient store (711) is nearby. We stayed one night at the room connecting to swimming pool. The room is spacious and the bed is comfortable. But, there was water on the floor near the area connecting to swimming pool and the toilet was smelly. The website mislead the guest, I booked a room with 2 guest for 2 nights but to know that it's a mixed room with other couple and shared toilet when I arrived, then allowed me to stay only 1 night in a superior room. 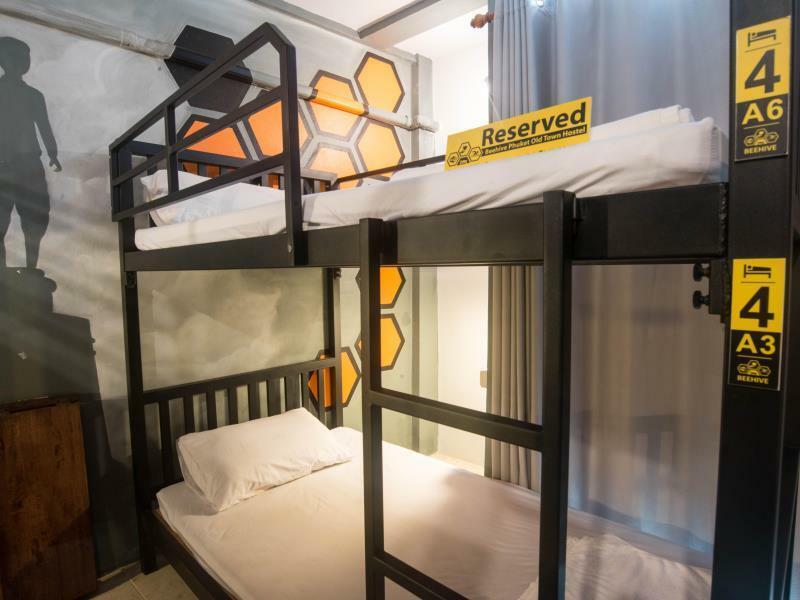 After check in, I have to book for another night urgently, then I found the Rattana Mantion Hotel with spacious room at very attractive price, the price I paid for 1 night in Beehive Phuket OldTown Hostel can stay 2 nights in Rattana Mansion Hotel. 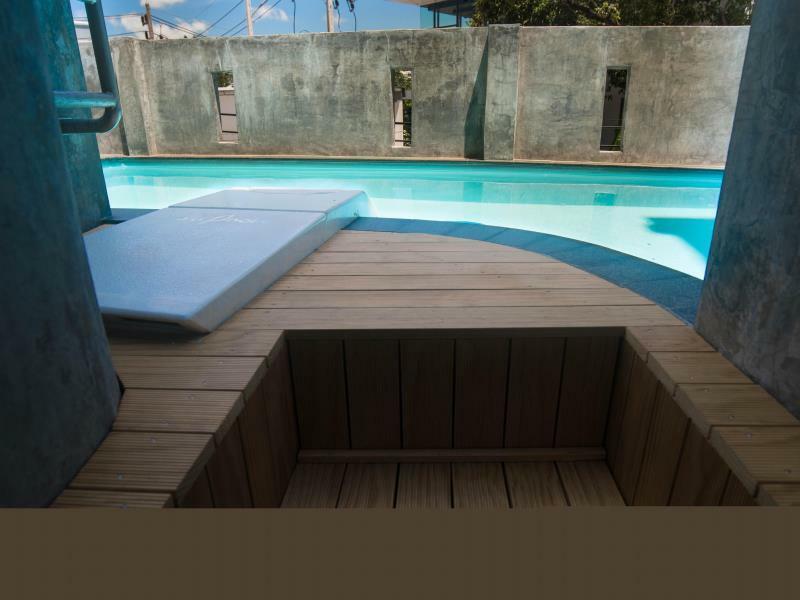 Besides that, the pool only for private room's guest. Be careful when you want to book this hotel!!! Pros: Good location: take bus from airport for old terminal, tell the bus driver about beehive and it will drop you at nearest 7/11 which is 2 mints walk from here. Same goes for going to airport, just tell the receptionist at hotel. V friendly staff. Cheap clean Water/ shoe boxes available at the ground floor. Cons, Room a little small Better lightening for room needed Pool too small Overall in this budget its a good choice! We had a good stay. I stayed at second time for my last day trip. I had a tour trip payment problem for travelism. They helped me to ask and refund my duplicate payment. really appreciated that they did that to me. finally, I got my payment back and wanna say thank you from here. I loved to stay with you guys and I had a wonderful day at your hostel. i will come back again and meet you guys again. 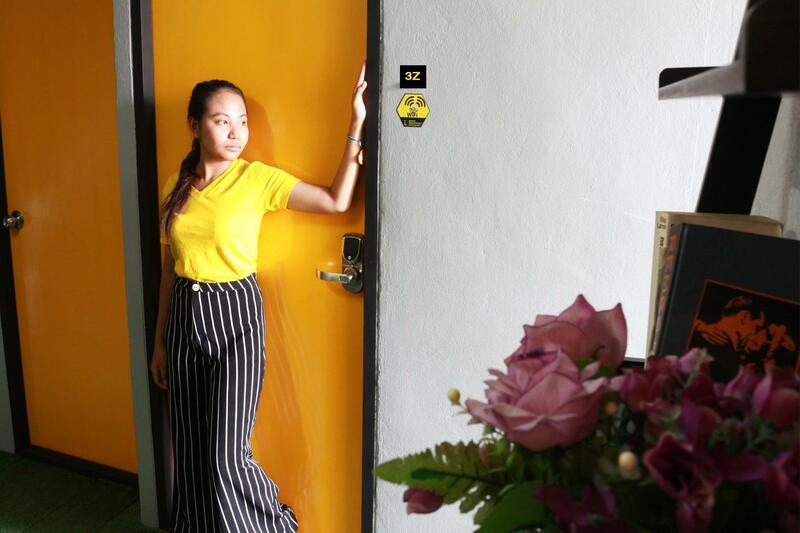 Had such a nice stay at this hostel and would definitely go back there if I return to Phuket Town. The staff was really accommodating, breakfast (coffee, tea, toast, butter, jam and either some eggs, rice dish or vegetables) was good, everything was clean and in a good condition, the pool is small but perfect for a little swim on a hot day in the town and there's also a small common area which is perfect for hanging out at night. You can bring your own stuff and use the kitchen (and a fridge) for free. There's free drinking water the whole day and the lobby is also a kinda common area where people hang out (games and books for free usage) , if you want you can even watch TV. If you want to book a tour there's a booking machine next to the rezeption, the tours are comparatively cheap. You can rent a scooter for 200 baht / day at the hostel as well, I would recommend to do that and drive around the island a bit. 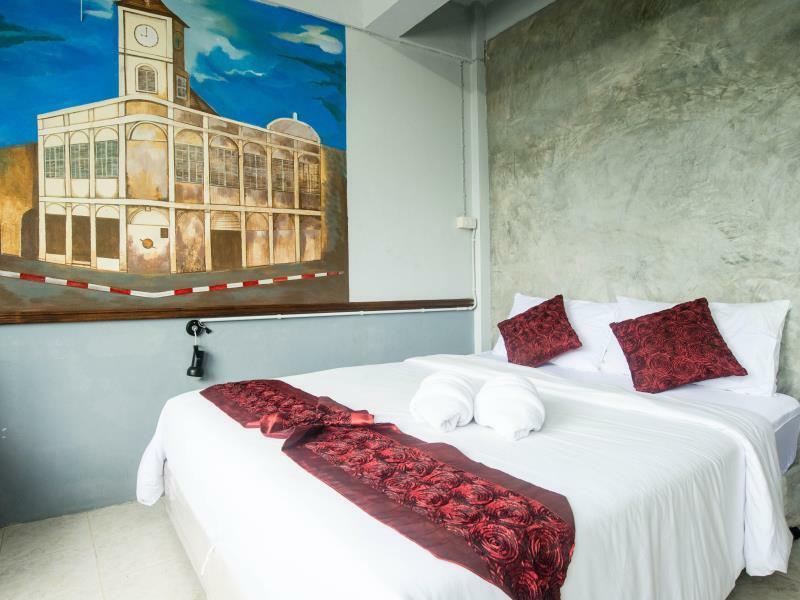 In general, Phuket Town is a nice location to stay at. 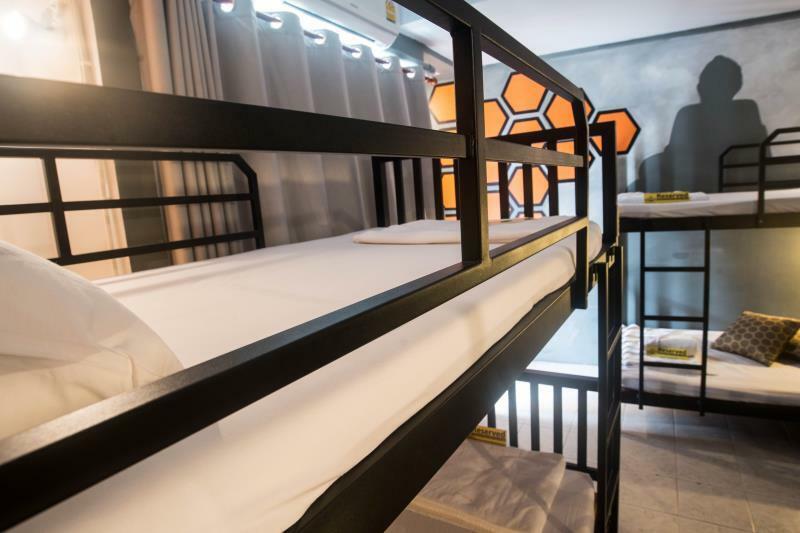 The listing on the website for the eco-double room did not indicate that the room would be shared with another couple. And that it didn’t have a private bath. Misleading. It was nice that the staff let us upgrade to a private room by doubling the price. Cheap, great location, 5 minute walk to the bus station where you can take a bus to the airport for 100 baht, or to any of the beaches on the west coast for 30 baht. The bedrooms are clean and the beds are comfortable enough, aircon. The problem is that there bathrooms are on the ground floor only, only 3, all with showers but they are not very big, only one is big enough to shower comfortably. Hot water. The staff is super friendly and helpful. Facilities are ok. You get hot or cold water for free. 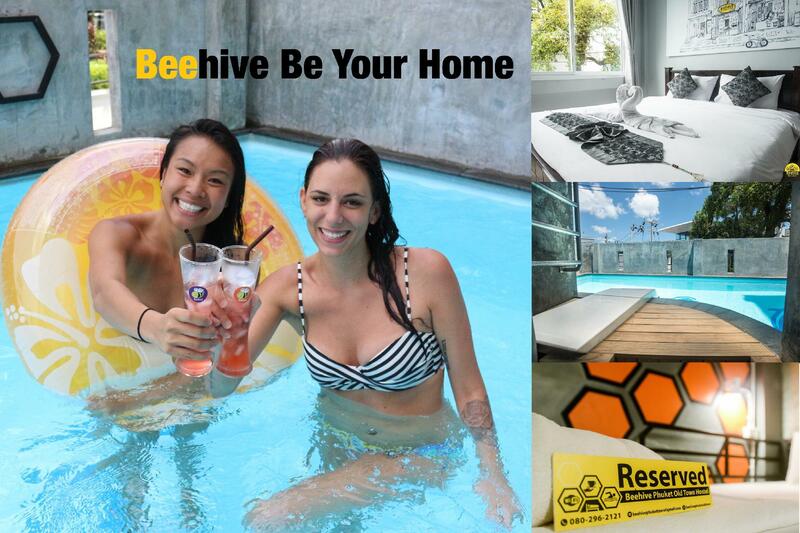 Stayed at Beehive for 7 days and had the private pool roo. Staff were helpful on arrival and nice throughout. Room was like photos and had hairdryer, kettle, water/coffee provided. Room clean every day. Pool was great, location was near the old town and everything needed nearby on foot. Would reccommend.